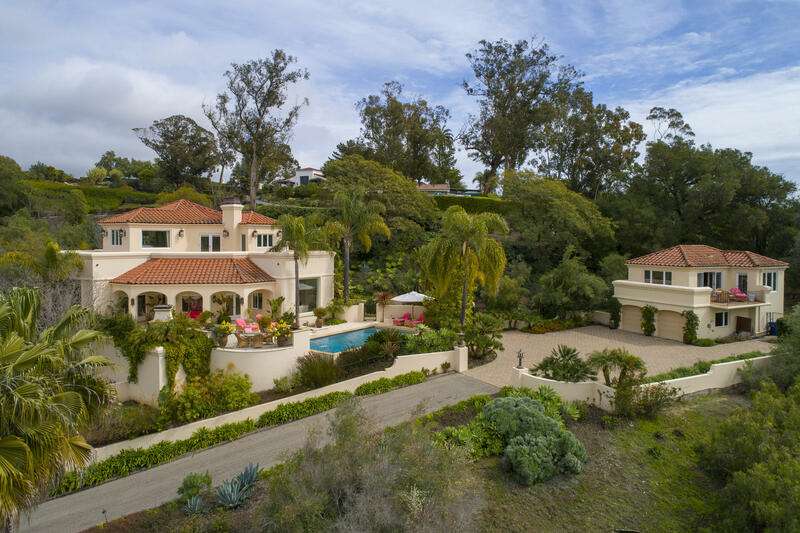 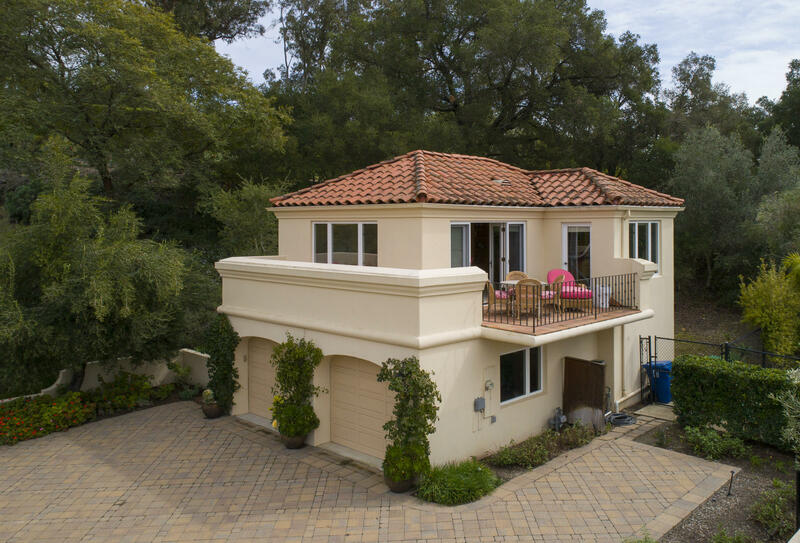 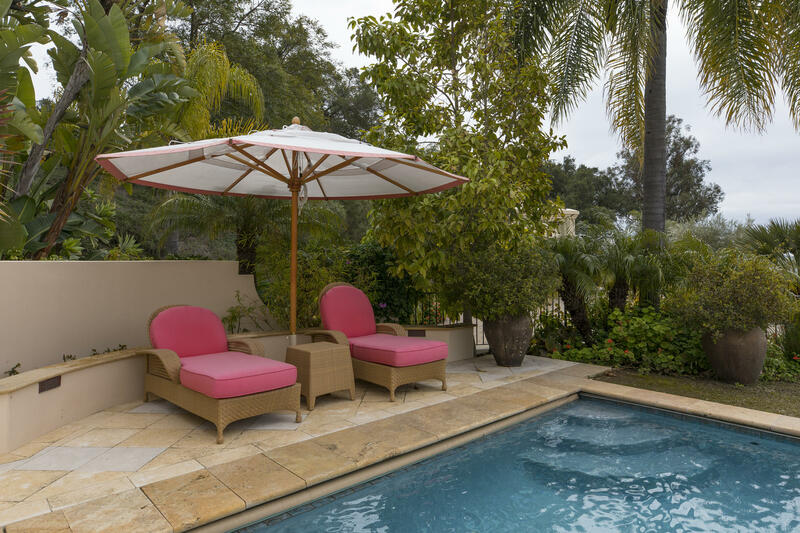 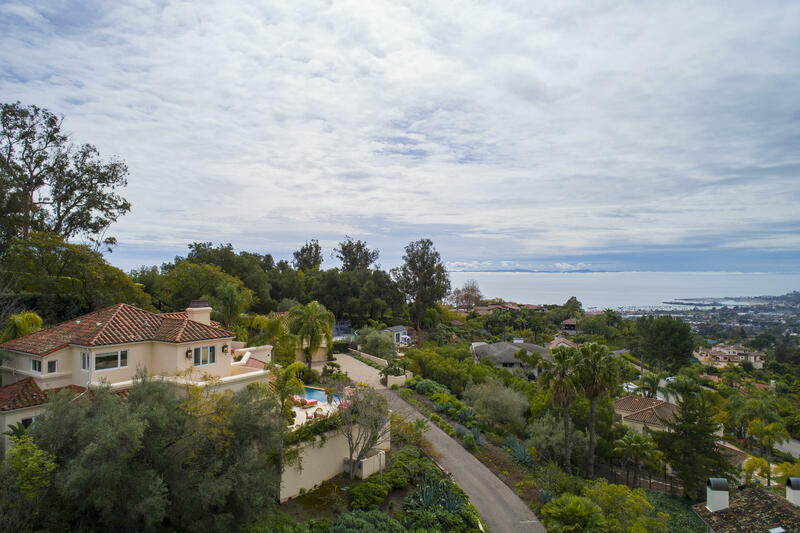 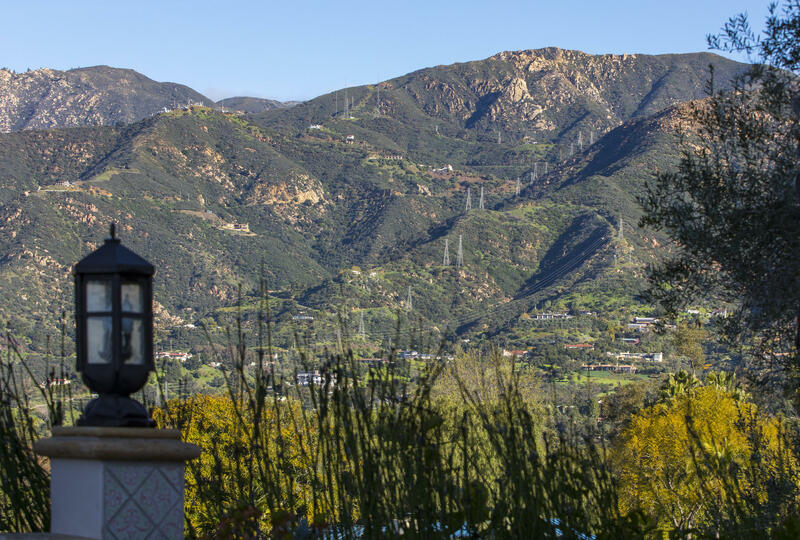 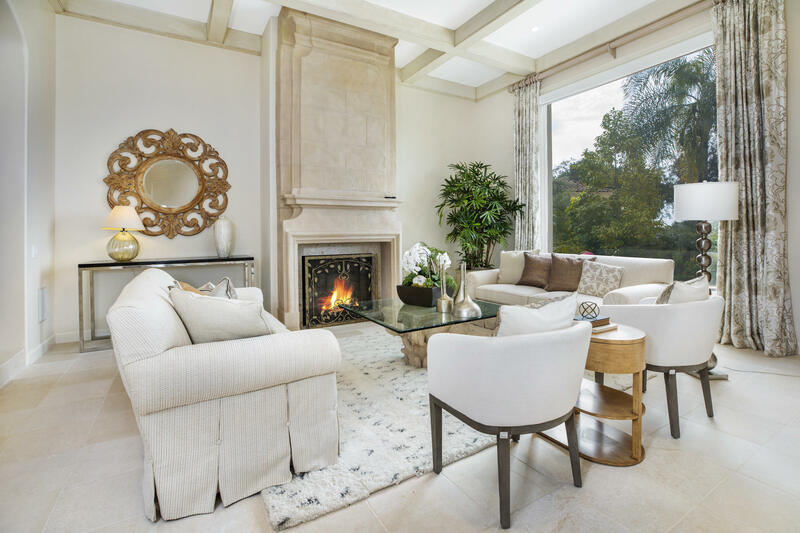 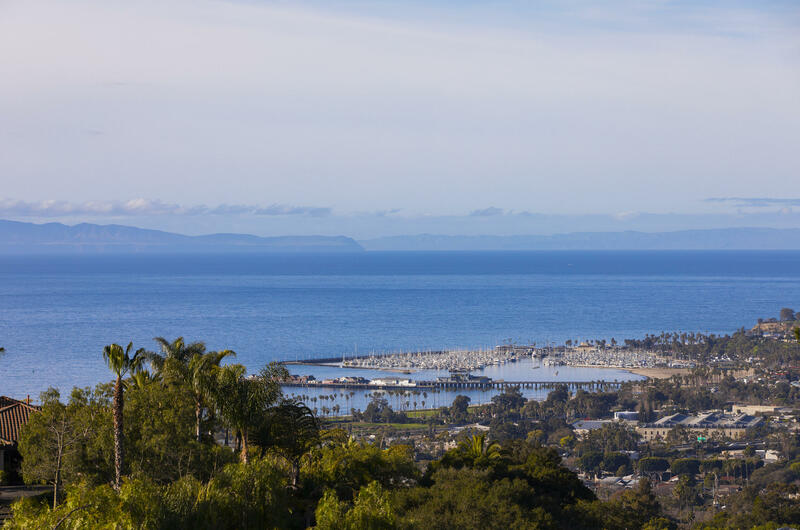 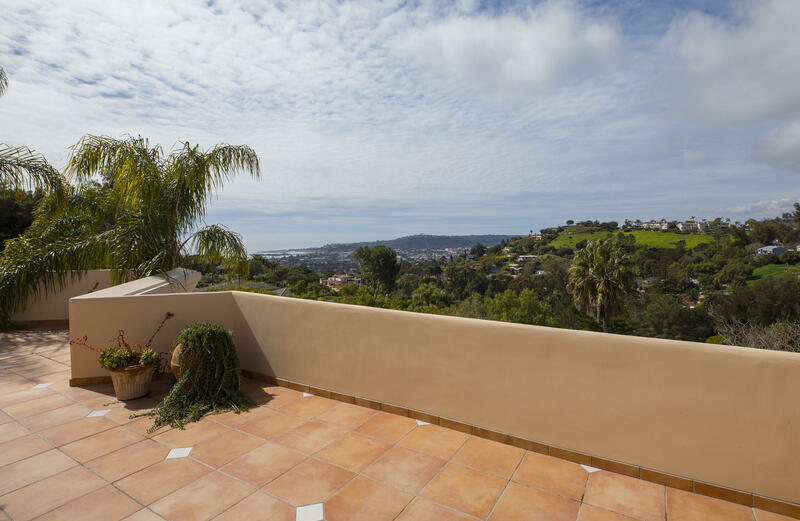 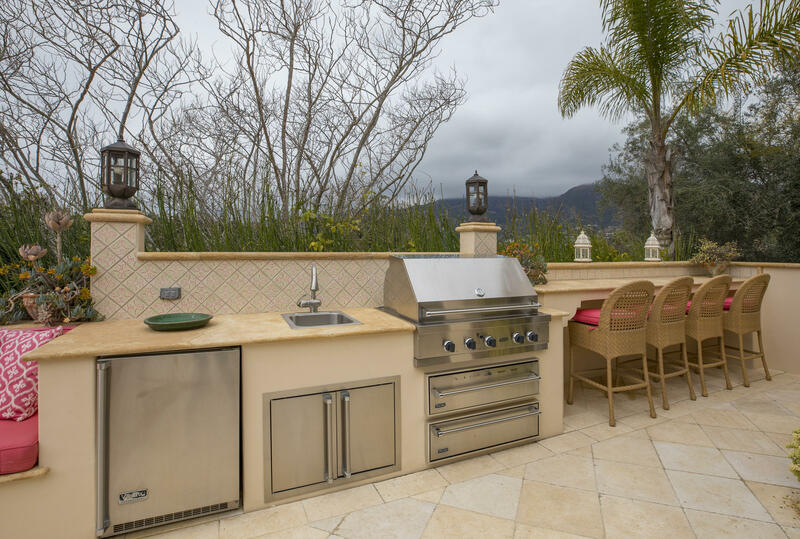 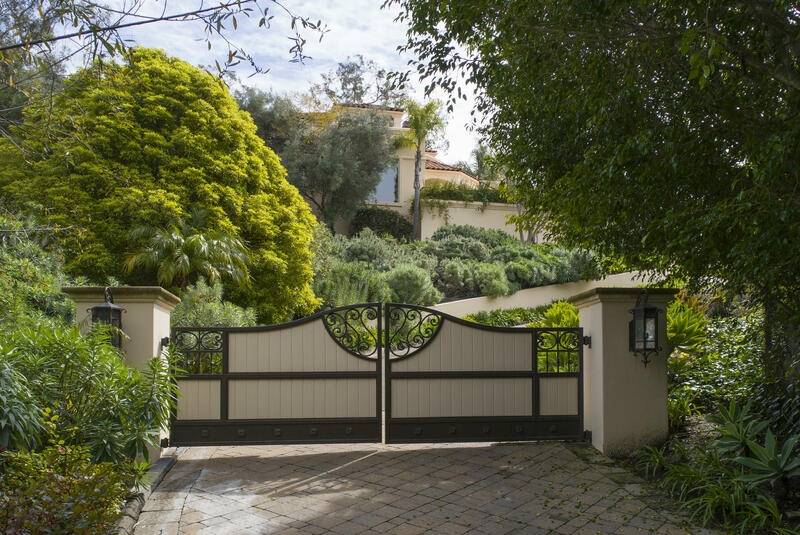 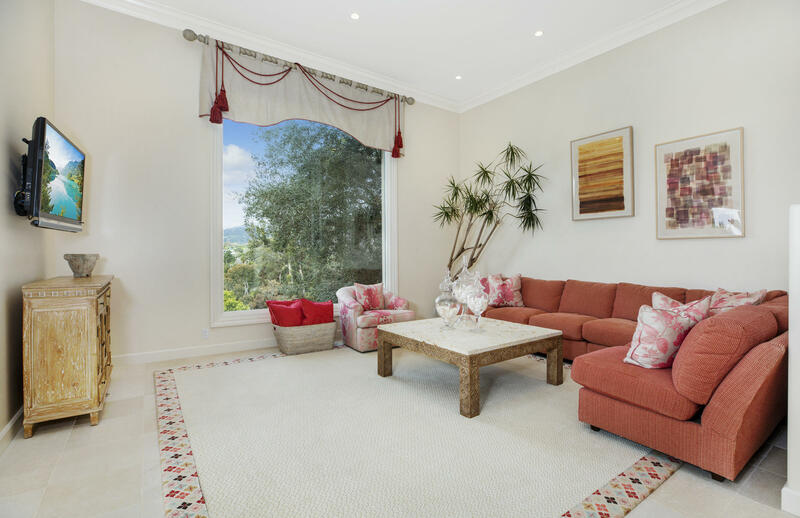 Perched upon the hills of Montecito, overlooking 180 ocean, island, harbor, and mountain views, 320 Calle Elegante offers extreme luxury in the most serene of settings. 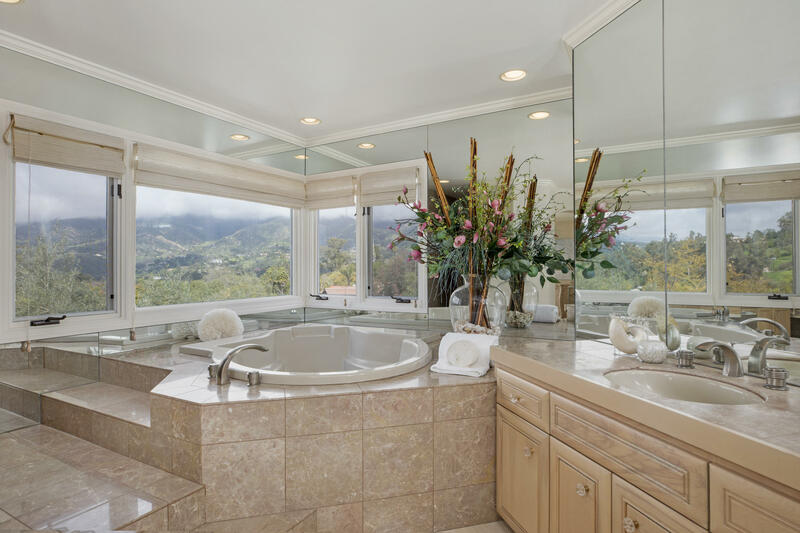 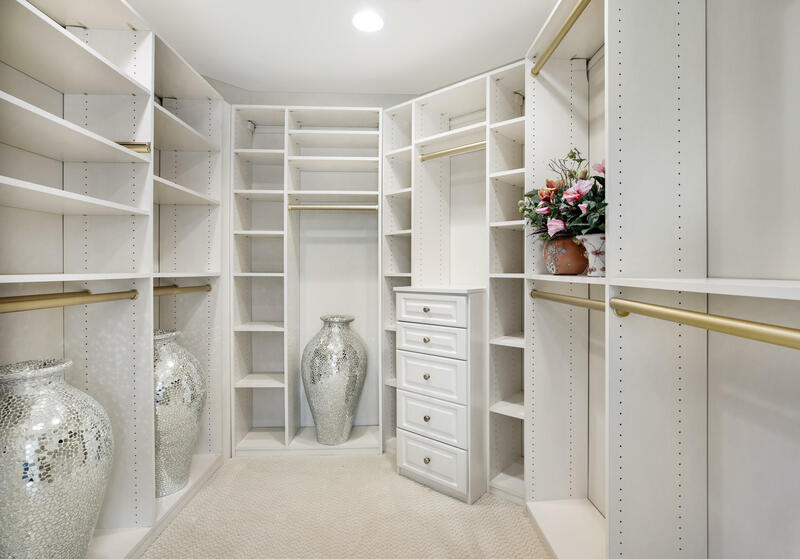 This 3 bedroom, 3.5 bathroom home plus office and detached guest house above the garage presents the perfect combination of high-end finishes and breathtaking views. 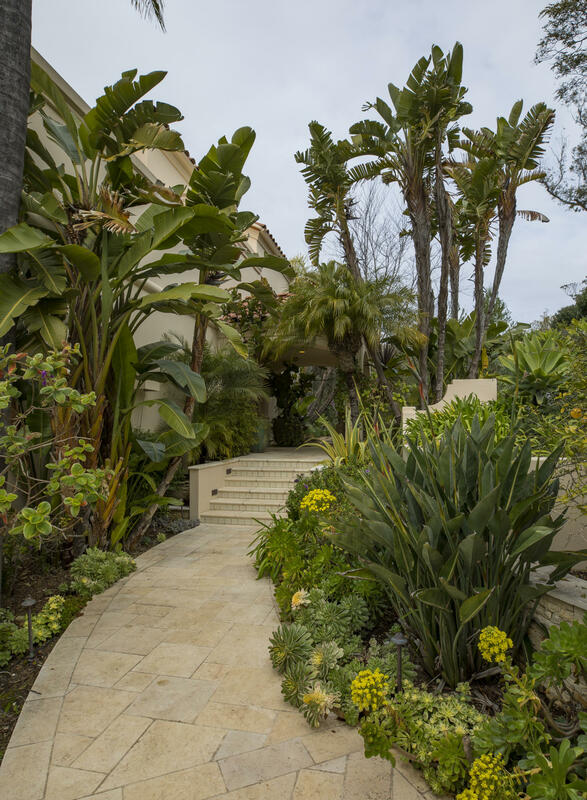 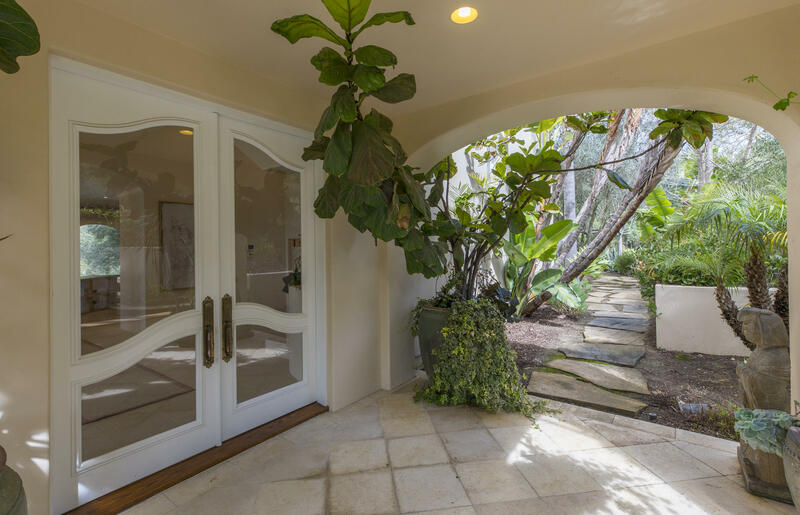 An extremely vast private driveway with gated entry leads you to this tropical oasis filled with lush greenery and gorgeous landscaping. 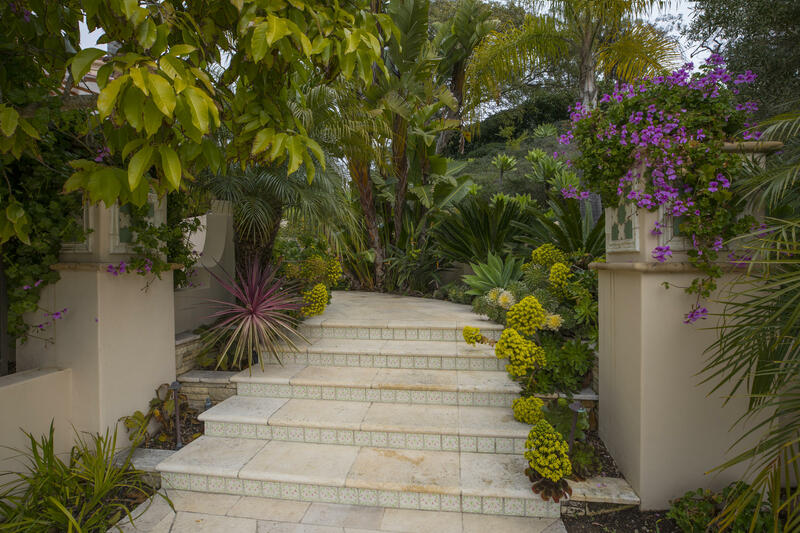 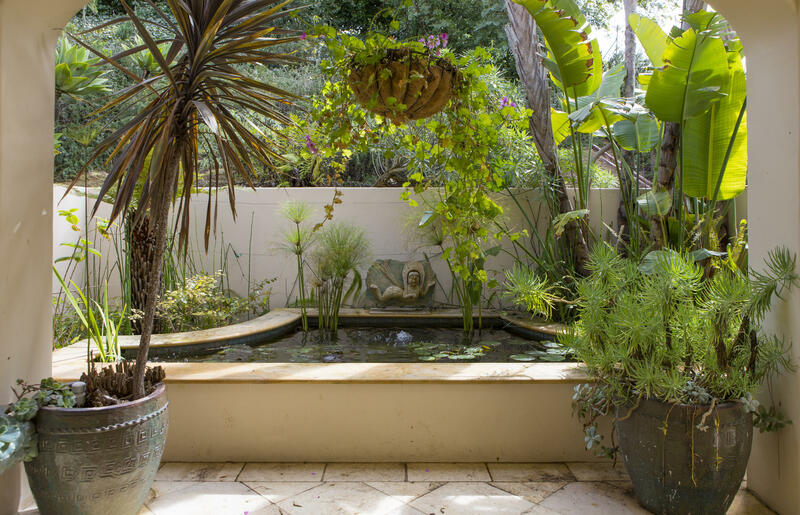 A beautiful lily pond greets you at the front door beside the entry to the main residence. 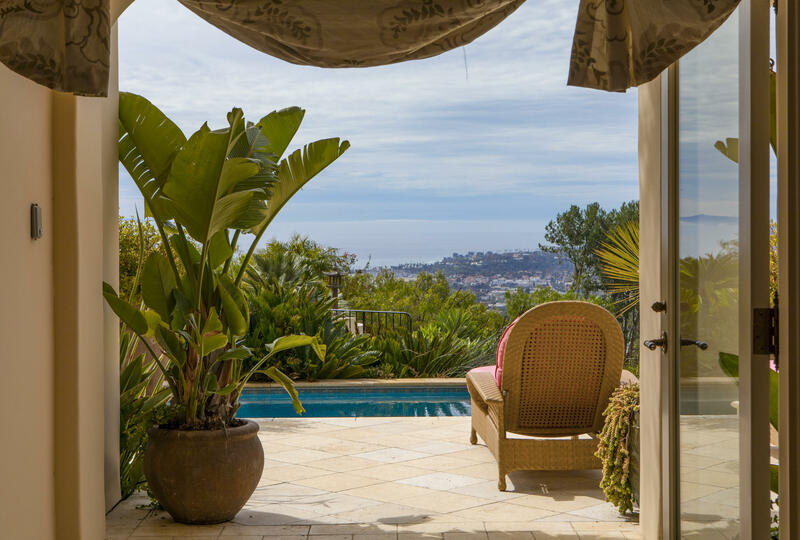 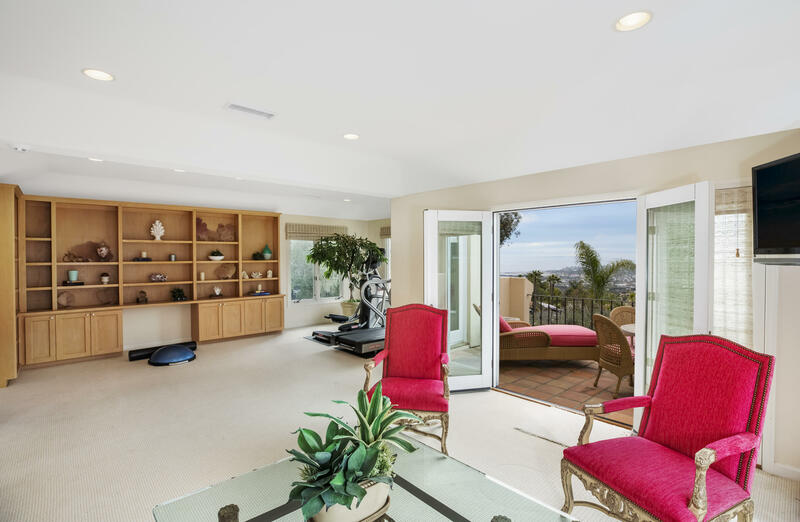 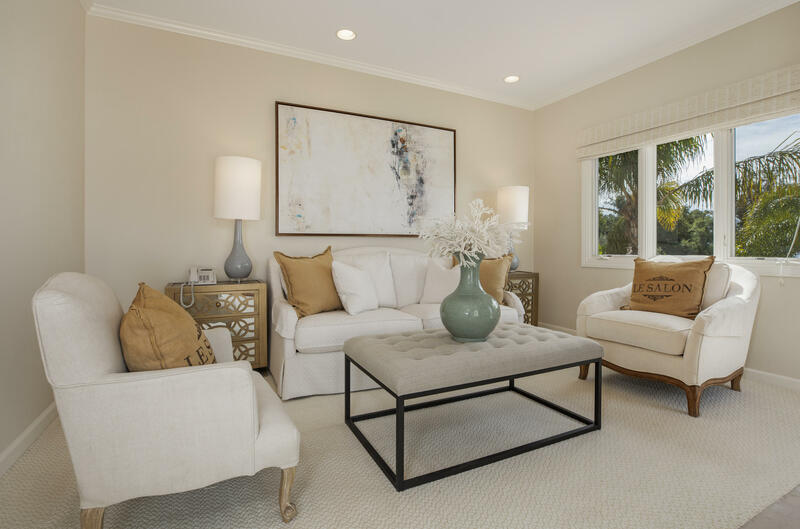 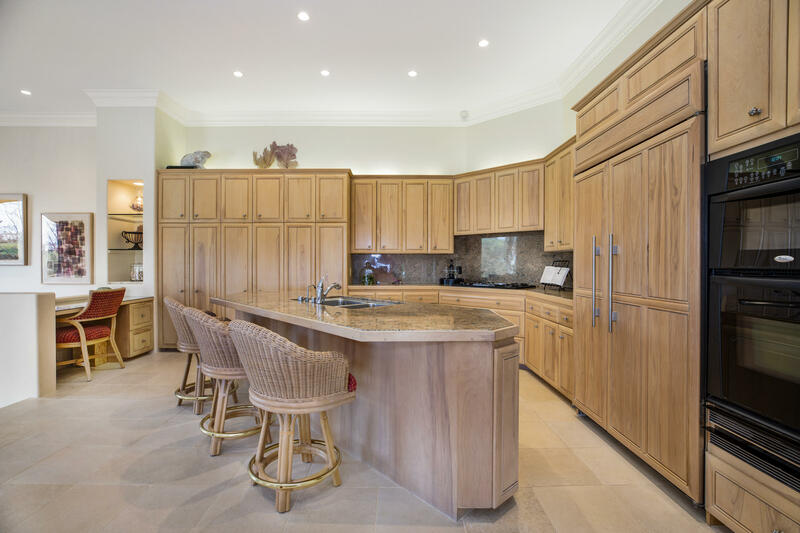 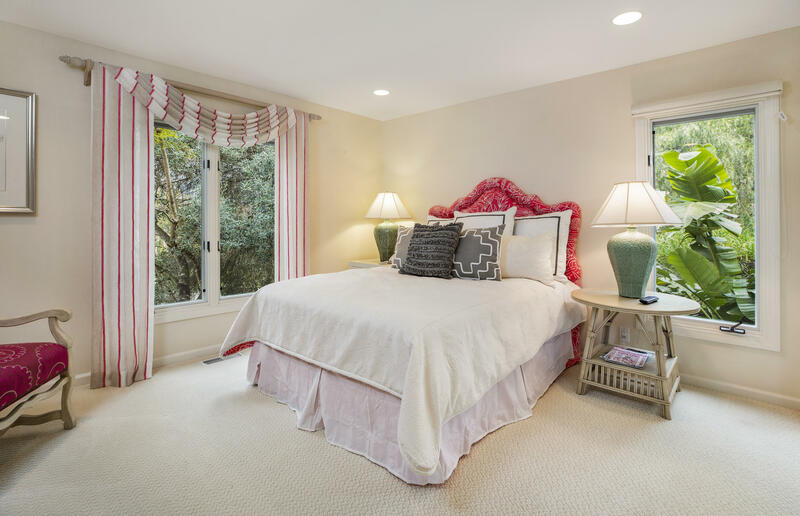 Upon entering the home, your eyes will be drawn to the incredible ocean and island views. 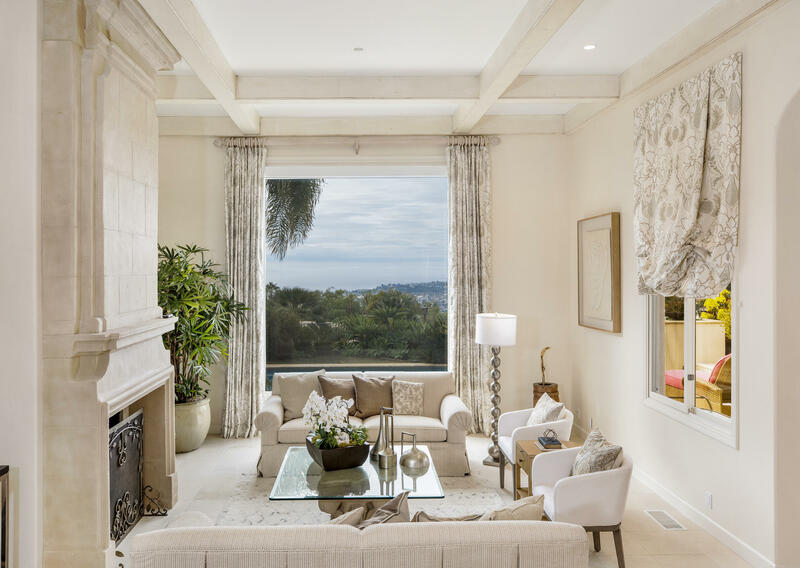 The living room boasts soaring 20 ft coffered ceilings, a regal fireplace, and an enormous picture window overlooking the Pacific Ocean.